Future trips include plans for Ireland and who knows where else! 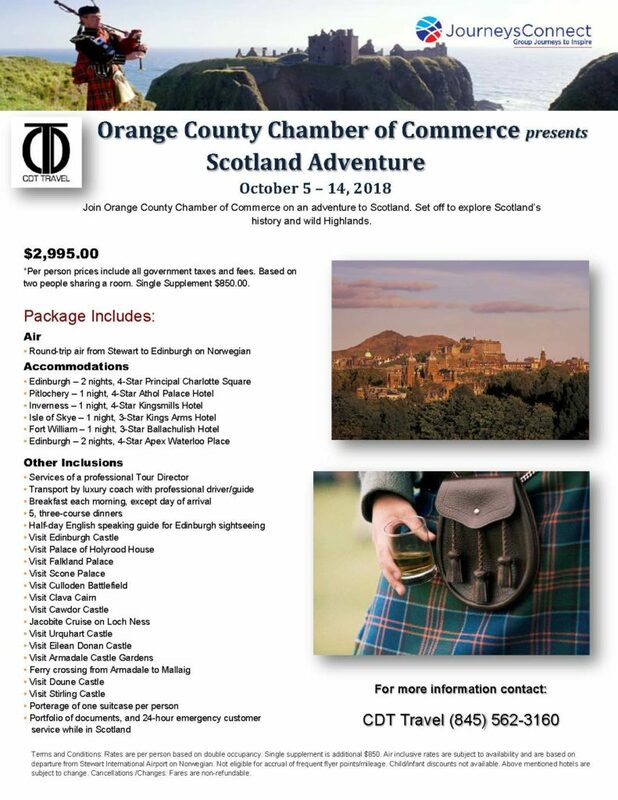 Several years ago, the Chamber started hosting trips to some incredible destinations. Travelers from throughout the Hudson Valley have joined us for great adventures to China, Italy, Ireland, Costa Rica, Portugal, the Caribbean, Bermuda, Nova Scotia and Thailand. 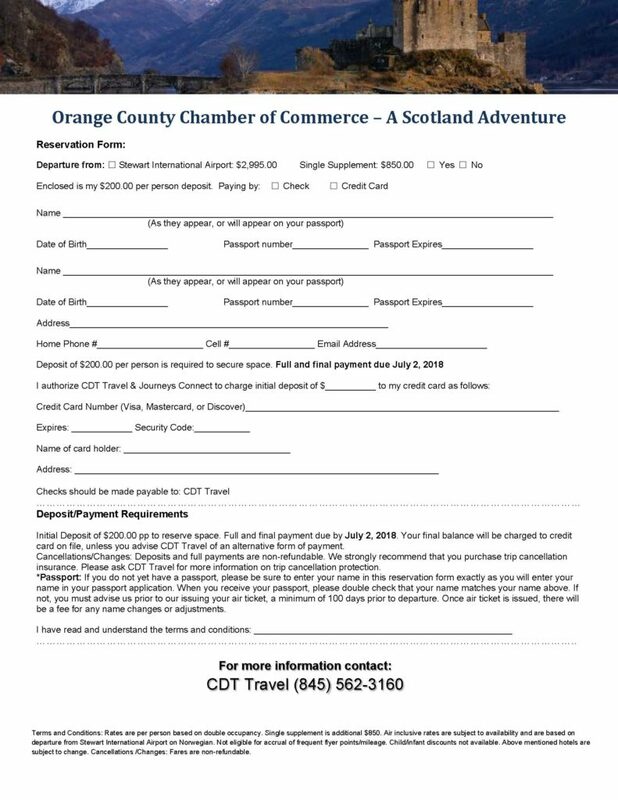 Get Ready to Explore Scotland with the Orange County Chamber of Commerce and CDT Travel. Setting out to Edinburgh from Stewart on Norwegian Air, this 9-day adventure will take you back in time to explore their history and the wild Highlands. Affordably priced at $2995.00* – This is an adventure you do not want to miss. *Terms and Conditions: Per person prices include all government taxes & fees. Based on double occupancy. Single supplement $850.00. Air inclusive rates are subject to availability and are based on departure from Stewart International Airpot on Norwegian Air. Not eligible for accrual of frequent flyer points/mileage. Child/Infant discounts not available. Above mentioned hotels are subject to change. Cancellation/Changes: Fares are non-refundable.